I wanna smash your face in. We all have them: those secret thoughts and desires we want to scream out loud, but instead, we bite our tongues and keep our mouths shut. Well no longer. 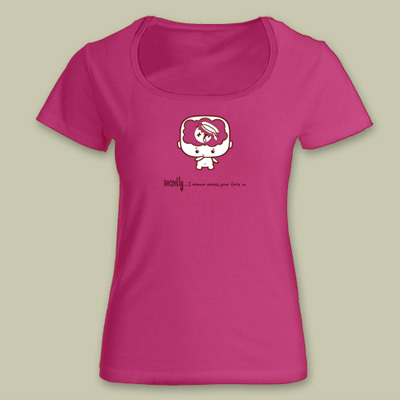 Display your secret thought from the saftey of a stylishly hip t-shirt. Tell that guy who cut in front of you at the concert ticket line how you really feel, without saying a word.